Aurelia Protégé gloves feature an enhanced formulation that rivals latex comfort and ergonomics. In addition, the fingertip finish is ideal for gripping extra-thin objects. 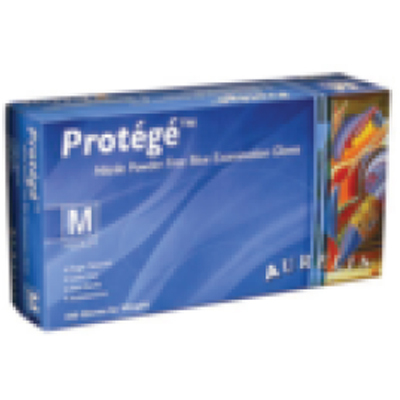 Aurelia Protégé gloves are nonsterile, single-use, and they are available 100 gloves per box. I am allergic to latex. These gloves fit well and rarely tear. Some gloves that claim to be latex-free still give me a skin reaction. I've never had an adverse effect from these gloves.